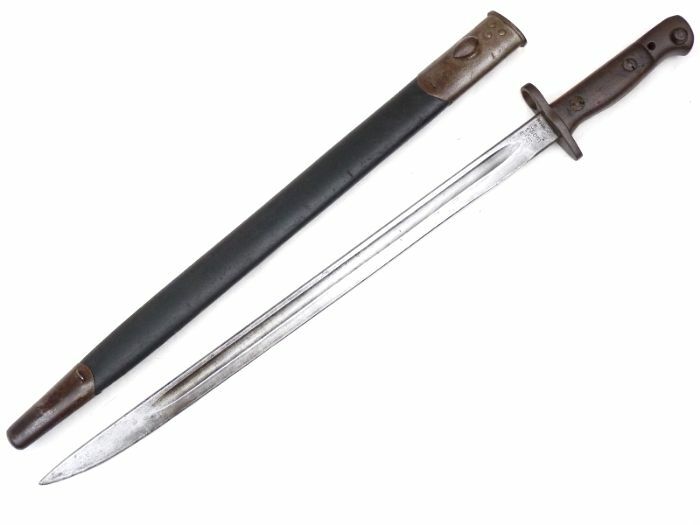 This is a Pattern 1907 bayonet for use with the Lee-Enfield rifle no1 mk3 or 3* , better known as the SMLE. Ricasso markings show 1907 for the Pattern under a very faint Royal Cypher of George V, 3 '16 for manufacture date and Wilkinson as the manufacturer. The other side shows acceptance marks, broad arrow and bend test, with re-acceptance in '27. 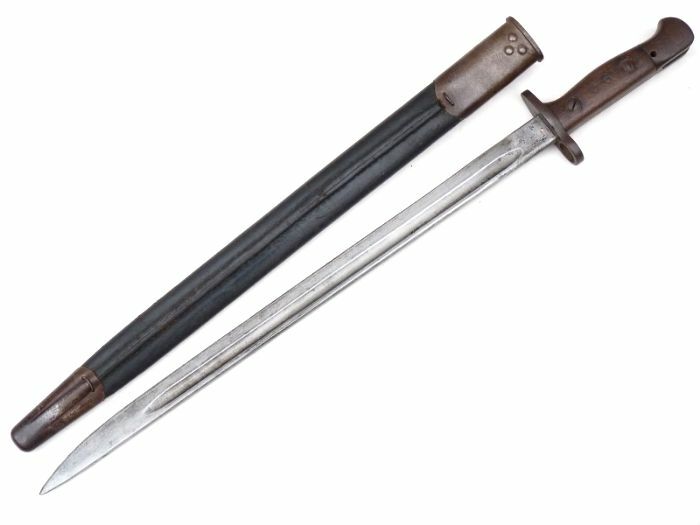 The lightly parkerised steel blade is in good condition, good point and undamaged and unsharpened edge, with a pleasant patina to pommel and crossguard. Both wooden grips are complete and in sound condition, one side is stamped 86, good release button. 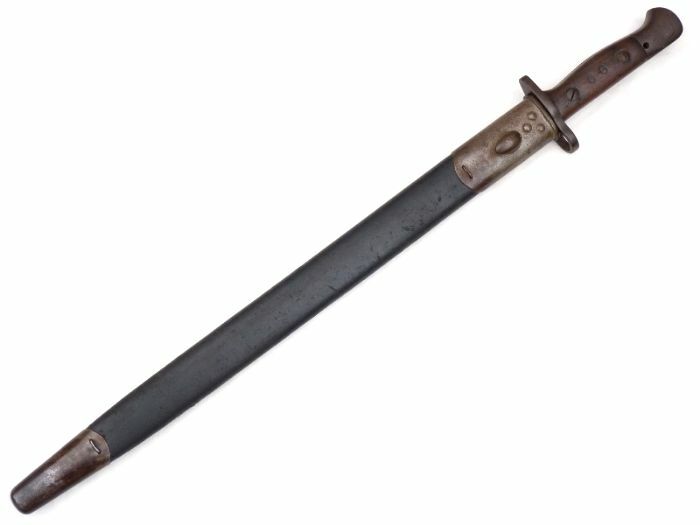 Pommel stamped S.V. 86. 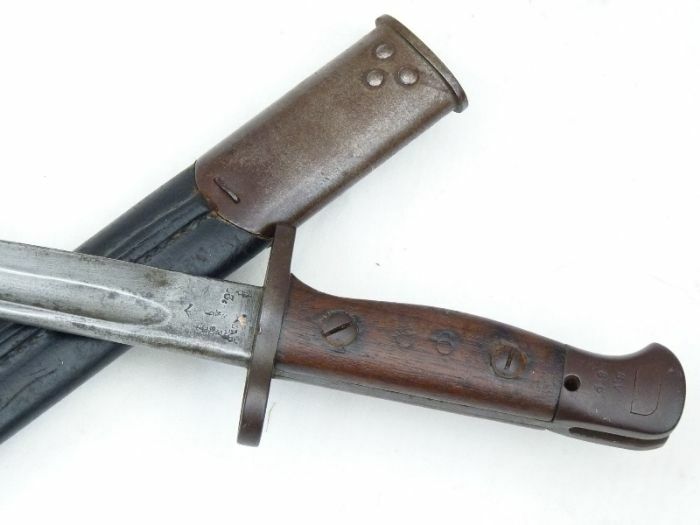 The oval-fogstud scabbard is also in good sound condition, all stitching intact, leather marked HGR 17, with similar patina to inspection stamped throat and chape. 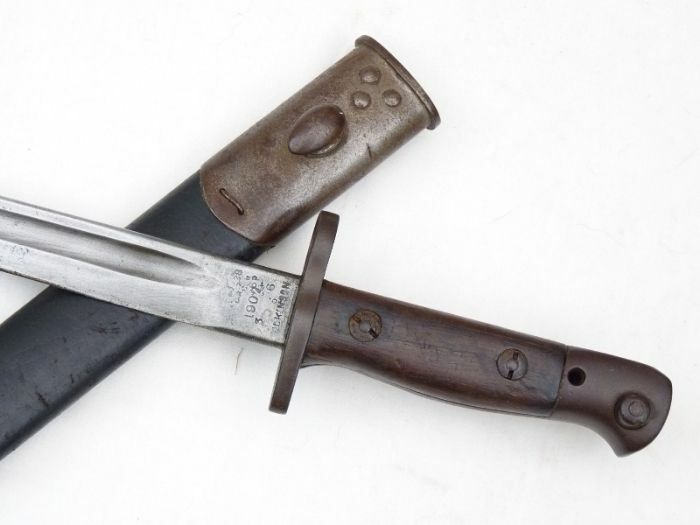 A lovely piece of history to compliment any WW1 SMLE.